> Sip and Shop at Soft Surroundings! Home • Events•Sip and Shop at Soft Surroundings! 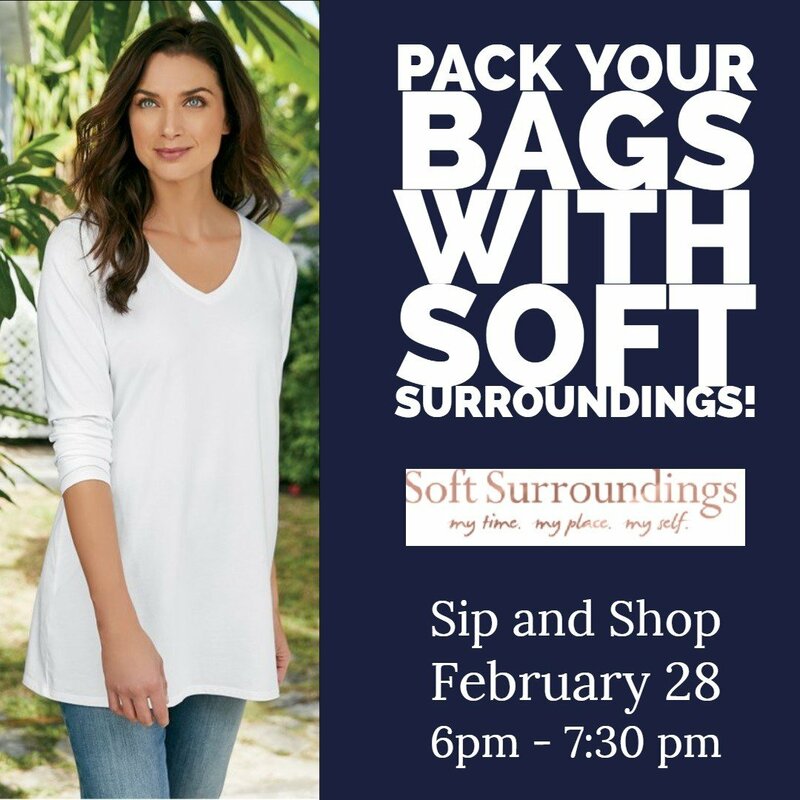 Join us Thursday, February 28th from 6:00 p.m. to 7:30 p.m. at Soft Surroundings where store associates will get you ready for your next trip! Planning to travel soon? Soft Surroundings can help pack your suitcase with their brand new Spring line as well as fantastic Spring beauty products from Jane Iredale! Enjoy delicious refreshments courtesy of one of the Legacy Village restaurants and enter to win opportunities courtesy of Legacy Village while learning about what is trending in Spring fashion and beauty.